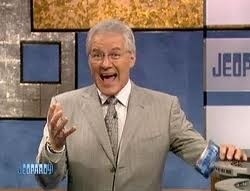 Alex Trebek and I are backpacking around South America in Ecuador, Peru, Paraguay and we’re looking for precious gems. There is a whole Celestine Prophecy and Indiana Jones feel to the adventure. Alex tells me over dinner at the hacienda that he has to fly back to Studio City the next morning to film Jeopardy, but he wants me to keep searching without him. The next morning he leaves and I continue my adventure, discovering the secret gems in the late afternoon. I go back to the hacienda to call him and realize he’s on live TV (even though I “know” the show is taped) and I decide to call and leave him a message to call me the moment he is off the air. He tells me that he will get on a flight as soon as taping is over and to stay where I’m at. Then I wake up. Funny, our dreams. How about you? Dreaming of celebrities? The funny thing is I watched Magic Mike just before I went to bed last night. Would’ve thought I would dream of Matthew McConahey. This entry was posted in Blogging, Life and tagged dreams, Jeopardy by flamidwyfe. Bookmark the permalink. I’ll take Gary Cooper over any of those three. I always said he could place his boots under my bed anytime. Sounds like you & Alex are best-buds if he drops everything to take calls from you 😉 I had a dream last night that I was working out “all wrong”, strange! Happy New Year! Working out all wrong? If you’re up and moving, you’re doing something right! Dreams can be so much fun. I pretty much enjoy any of the ones that don’t center around work. I hope you are finding some balance and still going for your dream job. You have some amazing knowledge and experience that many people could gain so much from in the area of getting back to health. Take care! Thank you for your encouraging words… I’m finding my way back to what I came home to do… Thanks to some amazing, supportive people in my life. I love “The Dream Book” by Betty Bethards – it is a “go to” book in my house. I dreamed last night that I was helping a friend of mine move but all her furniture was at the bottom of a swimming pool so we had to put on SCUBA gear to get it. Wow! I think that has to do with your job change, you were drowning and now you’re coming up from the bottom of the pool! Yay!! That’s a very positive way to look at it! 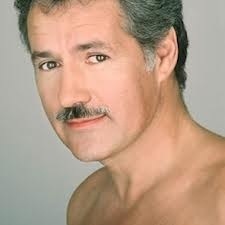 Alex Trebek? How bizarre! And not just one night, hmm. You are a hoot! Sandi, I love the transparency of your blog. You show us your flaws and stumbles as well as your successes and your moments of fun. My final divorce papers were in the mailbox yesterday; I was surprisingly sad. Very sad. Mourning the loss of marriage. Even though I walked away from to save my life, I still grieve because I wanted it to work. Now, I’m ready to plunge head-first into the next chapter of my life. I wonder what will be written. I want to write about the experience. I want to post it. But I’m reluctant because I don’t want to hurt anyone who might just happen by — a ridiculous reason, don’t you think? When you figure out the significance of this dream, please post it. I think the writing is cathartic. Write it down and store it away. Keep in mind your story can help others! I’ll keep trying to figure out the dream… Had to be some significant symbolism in there.